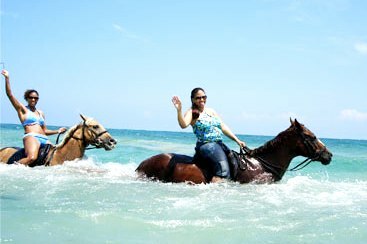 Many visitors return from there Caribbean holiday raving about horseback riding excursion through the hills and beach of Jamaica's North Coast. 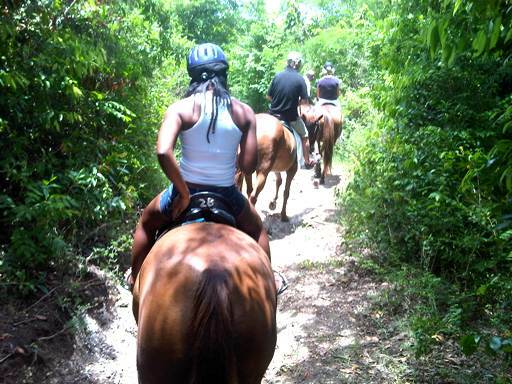 Mount your sturdy steed and roam through the places you have heard about, passing sugar factories and grand estates some of which date back hundreds of years. 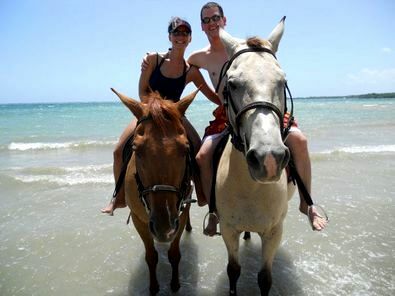 When you arrive at the beach you will be able to taste the succulent local produce in a rustic beach hut, and then for the really fun part....changing into a bathing suit and rushing through the waves on horseback. The saddles are left on for safety reasons, so there are no worries about staying on your horses' back. 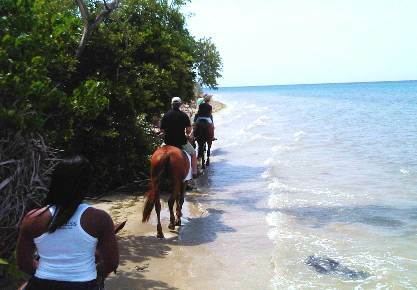 After this thrilling ride, you will take a relaxing saunter along a deserted beach which is inhabited by heron and various other water birds who fish in the shallow waters. While traveling through the mangroves, you will be able to discern the remains of an eighteenth century warehouse and an ancient waterwheel, all part of an abandoned sugar plantation. 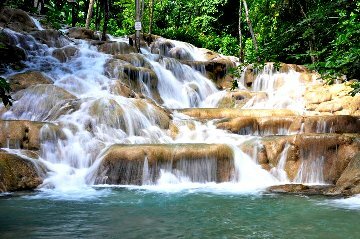 Dunn's River Falls is next; a refreshing spot where generations of visitors have been thrilled by the guided 600 ft. climb up the falls. What a day!! History, horseback riding, lovely scenery, mysterious ruins, Dunn's River Falls and the unforgettable sights and sounds of rural Jamaica. Our trip went well (group of 6) all thanks to our guide and driver Omar. I'm not sure what happened with our first assigned driver but we were happy to have Omar in his place. From the beginning of our tour to the end, he was extremely professional. When we asked to stop for breakfast or fruit along the way, he was more than accommodating. He was patient with our group and went at our pace. We never felt rushed and Omar didn't seem to be rushing or have his own agenda. This made us trust him and we felt he was a part of our group. We felt safe the whole time in his care. We developed a good rapport with him from beginning to end. As a guide, he was knowledgeable of Jamaican history and shared his knowledge with us. I would definitely book with Jaital again for future travels and will be requesting Omar as our guide and driver. Overall we had a good experience and I can't say enough about the excellent service we received. Michael was a great tour guide. He got us out to our destination over an hour from port and back before we needed to leave despite bad traffic conditions. We managed to squeeze in a tiny bit of shopping on the way, and learned lots of trivia. Dunn’s Falls is gorgeous! Shout out to the men at the Horseback. My middle child (10 years old) is afraid of horses. He tried to be brave and make it through the whole ride on the biggest horse he’s ever been on. Well my horse got a little attitude and tried to bite his horse during the midpoint of the ride. My child became afraid of his horse, and refused to ride anymore. The guides were very nice to him. They didn’t make him feel bad at all, and gave him a ride back in their truck. Everyone had a wonderful time taking in Jamaica’s gorgeous country. The best!!! The best driver. Never been treated better by anyone in nearly 30 cruises. Great tour. The horse riding was terrific! We had a wonderful time. As I wrote the night of our trip our driver, was fabulous and took great care of us. Our tour was superb! We would certainly do this again!!! Amazing tour, thank you! Our experience wouldn\\\'t have been the same without our wonderful tour guide. He was a very knowledgeable, professional, responsible, helpful, and charismatic man! He happily answered all questions we had, and gave us a very enjoyable tour of Jamaica during the time we were with him. 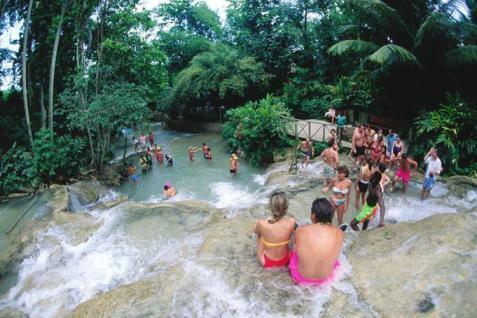 He took wonderful pictures for us at Dunns River Falls (a very memorable hiking spot). Overall he took very good care of the four of us in our tour group, and went above and beyond his duties. It\\\'s always a pleasure working with people like him, who thoroughly enjoy what they are doing. Would definitely recommend this tour through Jaital to friends. Thanks again! It was an awesome experience!!! Thank you. We had a great time! I would defenetly recommended to all my friends and everyone who is going to Jamaica. My tour guide was Bryan. He was absolutely amazing. His knowldege and professionalism can not be described in words. This tour was truly the highlight of our visit. We were very impressed with our tour and tour guide and would highly recommend this company to anyone.